Perfect for home, shop, boat or RV, this bucket holds 2 gallons and collapses down to only 10" diameter x 2" high. The bucket features a rigid rim with steel handle and solid bottom. 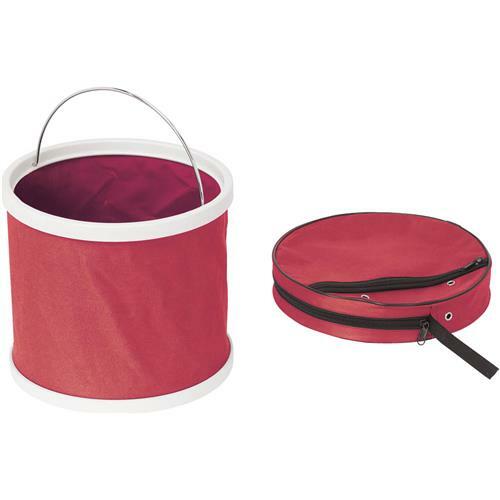 Completely watertight, this bucket is also great for transporting small items and tools. Includes a storage pouch with zippered pocket. Extended height is 9", colors vary.